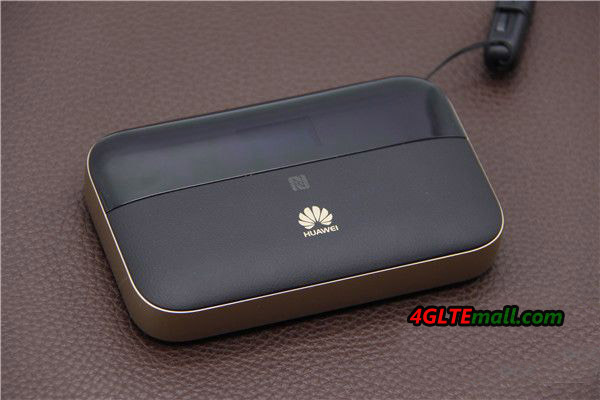 A few years ago, Huawei presented its first mobile 3G router with Ethernet port Huawei E5151 (In China, it’s called Huawei E5 LAN). Now many mobile hotspots with Ethernet connection are available from many vendors. 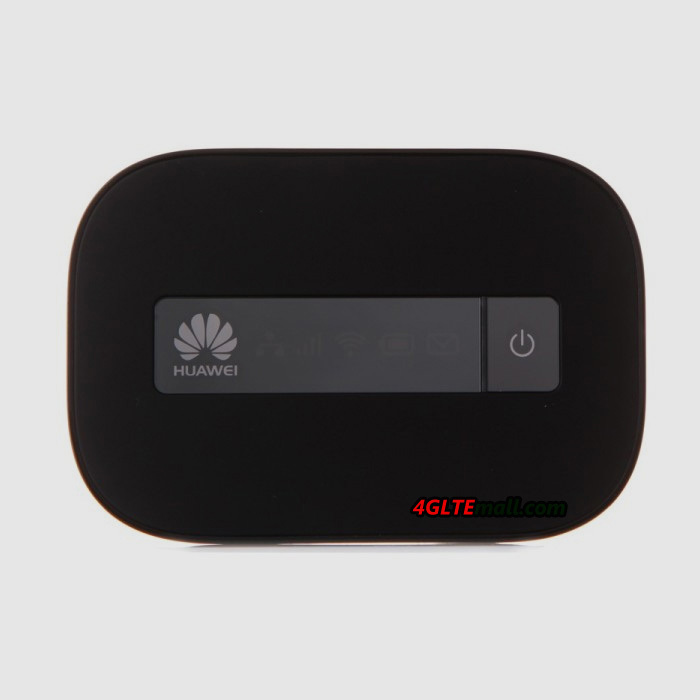 Today, we would like to review five Huawei mobile hotspots with Ethernet port, including Huawei 3G mobile WiFi hotspot with Ethernet port and Huawei 4G Mobile Hotspots with Ethernet Port. Why people need a 3G/4G hotspot with Ethernet port? 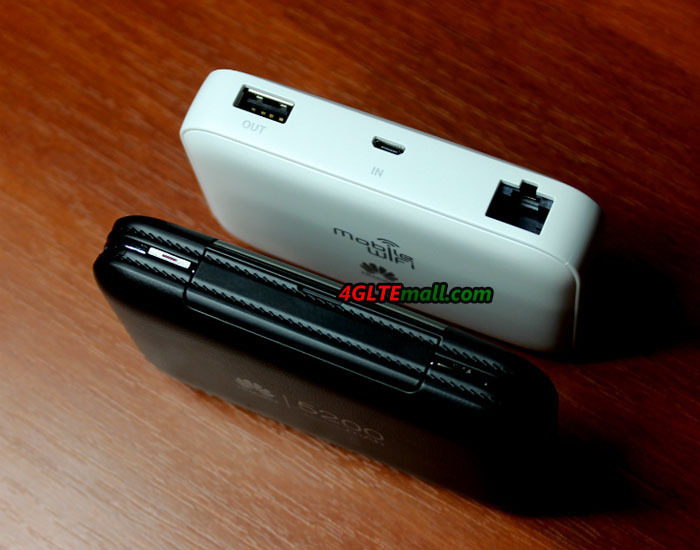 Usually, many people use 3G mobile hotspots or 4G mobile hotspots on the go. The mobile hotspots usually have a SIM card slot, so that users can connect to the hotspot wirelessly. However, if the SIM card signal is not available or only Ethernet connection is available, it’s the show time for the mobile hotspot with Ethernet port. And the business people or somebody who usually travel overseas may face this trouble. In this situation, you may need a 3G/4G LTE hotspot with Ethernet port. They are the best sellers of Huawei Mobile Hotspots with Ethernet port. The Ethernet Port in the devices is for WAN & LAN. Here now, there are many mobile hotspots with Ethernet from other manufacturers, but some of them are only for LAN, not for WAN, which means you can only connect to the network via 4G SIM card. You cannot connect to WLAN network via Ethernet port. The above mobile hotspots with Ethernet port support LTE to LTE-A networks, and 3G mobile hotspots available. You may find one for yourself if you have demand for such functions. And we have to mention that the large battery capacity in the Huawei E5885, E5770, and E5730, which can also charge other devices such as smartphones, gadgets etc…This could also be praised for the practical function. We had introduced the Huawei E5151 pocket WiFi years ago, which is a 3G mobile WiFi router supporting download speed to 21Mbps and the most important feature of this pocket WiFi is that the E5151 has a port for LAN/WAN, which could connect with an Ethernet cable to get or share internet connection. At that time, some customers were wondering if there is newer model which could support higher speed connection, i.e. download speed is faster than 21Mbps. Actually, we had introduced the latest Huawei E5770 mobile WiFi Pro, which has LAN/WAN ports and supports download speed to 150Mbps on LTE Category 4 technology. And the Huawei E5770 has large battery of 5200mAh, which not only keeps itself long time working, but also works like a mobile power bank to charge other electronics such as smartphone or tablets. 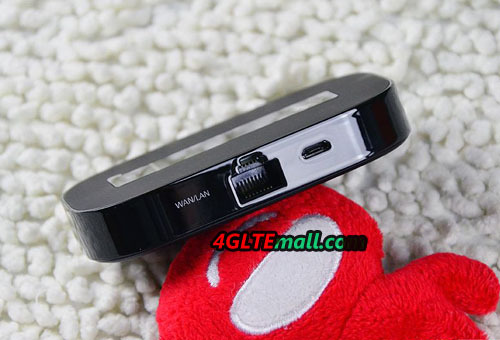 However, many customers said the price of Huawei E5770 is a little bit high; it’s not a budget pocket router. Really, it’s a high-end partner for wireless connection. Today, we will introduce another new mobile pocket router. The model number is Huawei E5351. It’s still a 3G mobile router and upgraded from huawei E5151 MiFi. From the appearance, we can see the Huawei E5351 is very similar to Huawei E5151, they both have a port for an Ethernet cable and USB interface. The LED indicators on the front and back logs are almost the same. 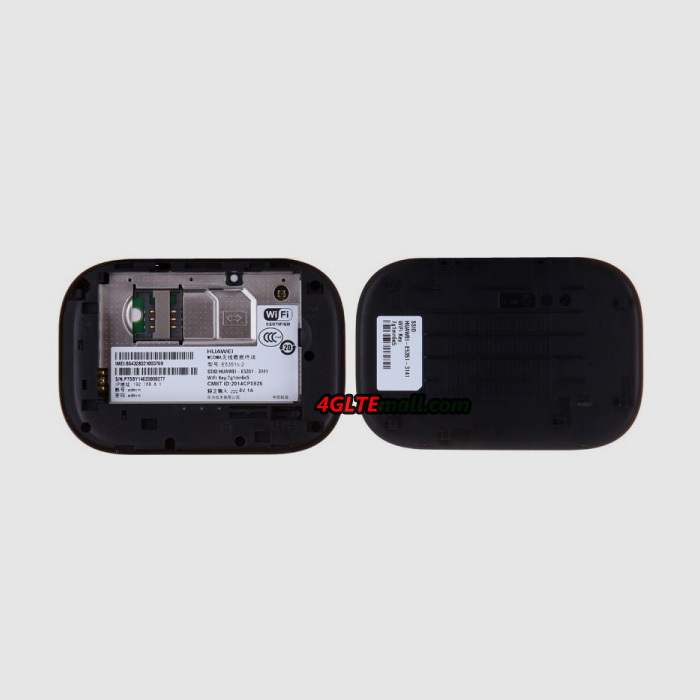 The battery capacity of E5351 MiFi is still the same to E5151, only 1500mAh. For most users, it’s not enough for common use. The lucky thing is the battery can be removable, so if there is a spare battery or mobile power bank, it would be OK to use for long time. From this point, we would recommend the Huawei E5770 with large battery; users don’t worry about the power off when working with E5770. The SIM card slot of Huawei E5351 is for a standard 6-pin SIM card, which is the same to E5151. But there is no slot for Micro SD card. The most important features should be the improvement of the wireless data transmission speed. Huawei E5351 could support almost double speed of that of E5151. With 3G DC-HSPA+ technology, Huawei E5351 could achieve peak download speed to 42Mbps while E5151 only support speed to 21Mbps. 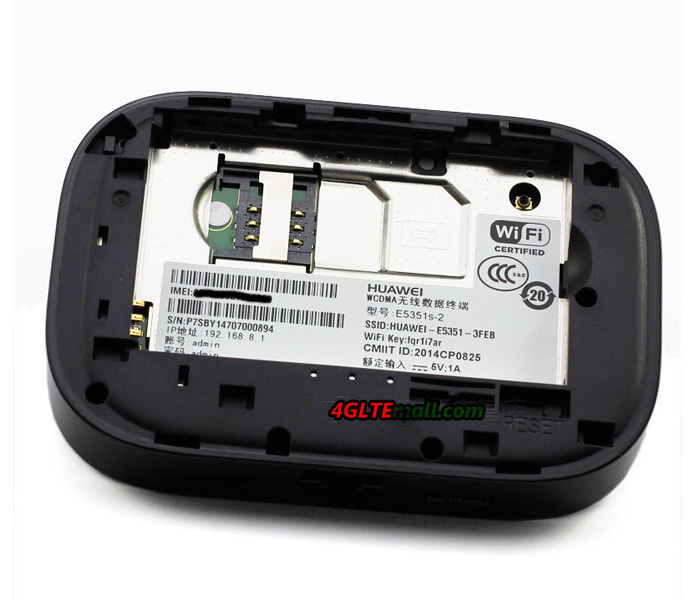 Like E5151, up to 10 wireless devices could access internet through Huawei E5351. 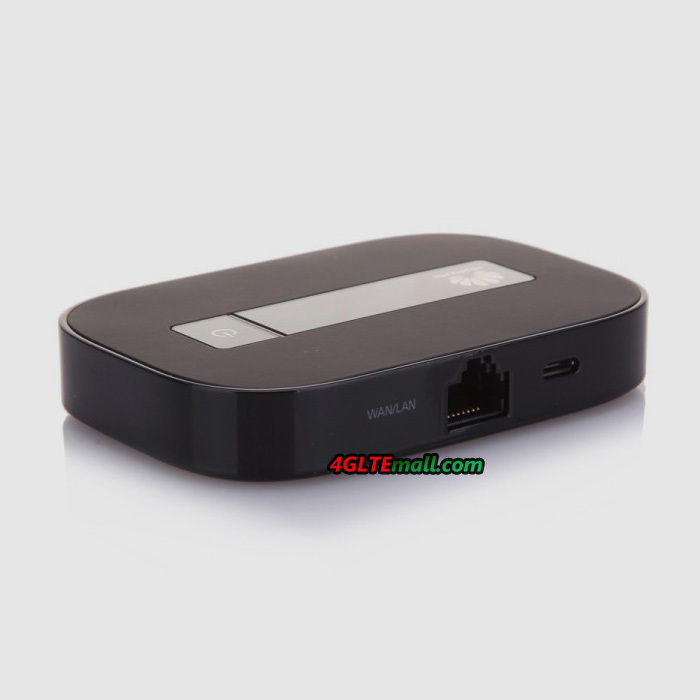 In all, Huawei E5351 is a powerful mobile pocket router for traveling or business trip. It provides more option for wireless internet connection. 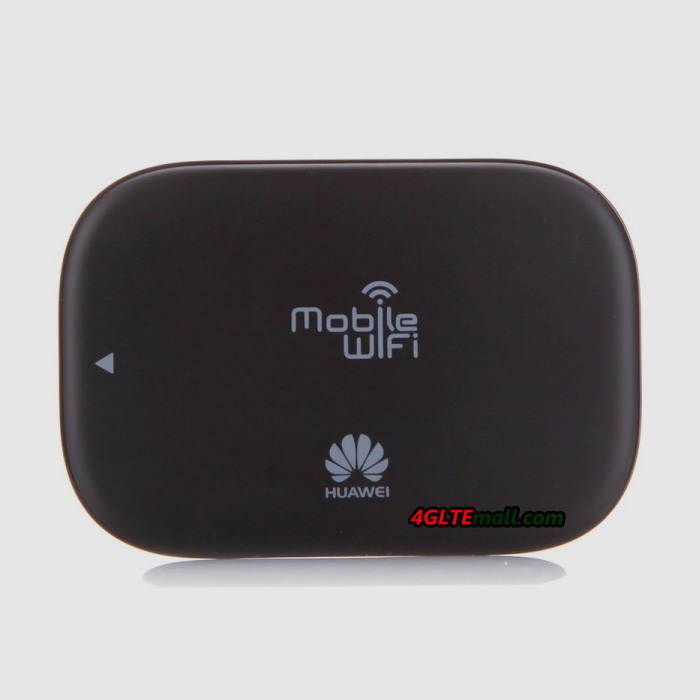 But if you don’t need the LAN port, you may try other budget Huawei mobile WiFi hotspots options such as Huawei E587 or E5730s, which has good performance for internet connection.